After my divorce, I had to trade in a car I really loved for something less expensive. There were several people who would have gone to the dealership with me, but I chose to go alone. As luck would have it, I encountered an extremely aggressive sales team. When I told them the price wasn’t right for me and stood up to leave, their “closer” actually moved to the doorway and blocked my exit. If memory serves, he told me to “sit down and sign so we can be done with this”. I bought the car despite the price being more than I wanted. I left the dealership in my brand new car, pulled over and burst into tears. In retrospect, I can laugh at this. The physical intimidation of a young woman by a group of men isn’t funny. What’s funny to me is that I had no concept of my own power. If someone tried to do that to me now, they’d be in for a world of trouble. In the nine years since that incident, I’ve learned to speak up, not be afraid to make a scene and deliver pain if someone puts their hands on me without my consent. I had the basic idea right – you have to be willing to walk away – but I allowed them to convince me that walking away wasn’t an option. Can you imagine what they would have done if I’d pulled out my cell phone and called 911? Our power lies in our choices. While the behavior of those men was reprehensible, I had no control over it. What I did have control over was my own behavior. I allowed them to intimidate me into believing that I couldn’t leave. Did I really think they would physically restrain me if I pushed past them out the door? Well, somewhere deep down, I must have. 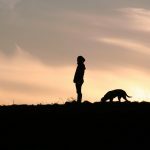 I talk to many veterinary professionals who feel trapped. Whether it’s a bad clinic or a bad personal relationship, they feel despair because they “can’t leave”. You CAN leave. The kicker is, there are consequences to leaving. If you can accept or head off those consequences, then there’s no situation where you have to feel stuck. If you are proactive, you are never stuck anywhere, and that gives you an immense amount of power. • Build a savings account and make it a priority. Make sure you have the money to leave if you so desire. Better yet, have enough that you can leave immediately and decide your next step later. • Find your voice. Often bullies will continue their activities because we don’t speak up. “It’s not ok for you to _______.” is a great start to setting boundaries. Say it calmly and firmly. “It’s not ok for you to talk to me like that”. It’s a complete sentence. You can wait for a response or walk away. Stop worrying whether other people are going to be angry or upset because you are taking care of yourself. You’re already angry and upset, so they can join the club. Who knows, they may decide that fixing their behavior is better than having to be called out for it. If they don’t, you can terminate your relationship. You’re better off without someone who is being abusive. • Start looking. If you are in a situation that you don’t like, start researching options. This is the hardest part of unsticking yourself. I think we are afraid to look because we’ll feel compelled to do something besides complain. If you don’t wait until you are dangerously miserable before taking action, you will need less healing time when you decide to make your move. • Ask for help and support. Business advisors, friends, family and therapists can all help you to make the decision and balance emotion with logic. However, don’t let any one person (other than yourself) have too much say. Ultimately, the choice is yours to make. • Make a plan. Put down in writing the steps to reach your goal. You don’t have to have it all figured out, just enough to give you direction and focus. If you veer from the path, go over the plan again and decide if you are still committed to it. Then get back on the path and move forward. You can make your life whatever you choose. Please don’t stay in a bad situation until you feel your only way out is to do something drastic. Change doesn’t have to happen all at once. Celebrate even the smallest victory. If you take a step in the right direction, remember to pat yourself on the back. We know positive reinforcement works for our patients. Let it work for you, too. Click the clicker and give yourself a cookie for taking care of you. 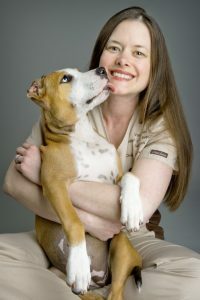 Dr. Cherie Buisson is a veterinarian and lecturer who lives in Largo, FL. She spends her time in feline-only practice, hospice practice and teaching other veterinary professionals about hospice, euthanasia and compassion fatigue. Dr. Buisson is the owner of Helping Hands Pet Hospice in Seminole, FL as well as the founder of A Happy Vet.